The Seafolk are a secretive people. Equally happy in the water and on land, they search the seabed for the one thing they truly love – gold. Scouring wrecks and lost cargoes, they hoard the gold the find, hiding it from land-dwellers. One such location is within a small air pocke in a cave, deep beneath the waves. 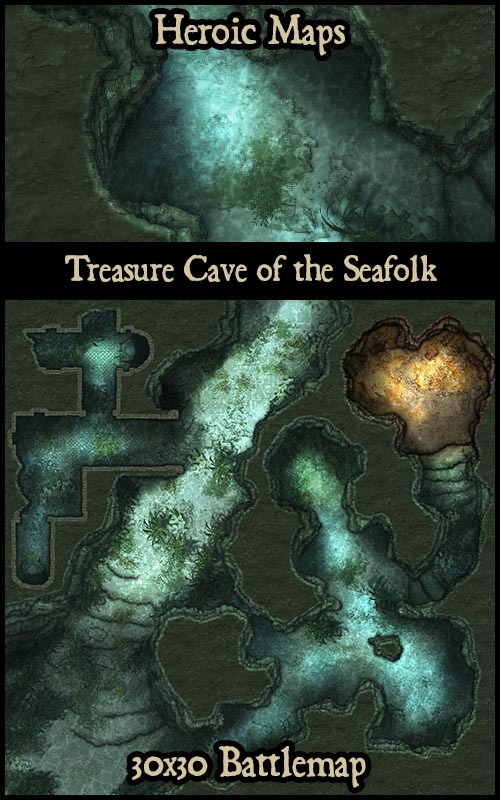 Contents: A 30 x 30 map depicting an underwater cave complex, with a small air pocket serving as a treasure chamber for gold coins collected from shipwrecks.